Summer tour through Swedish folk parks. Rehearsals began on June 1 at the Jarla theatre in Stockholm. On the way to the first venue in Skellefteå ABBA stayed at Rämshyttan for some days. Two concerts had to be cancelled and rescheduled because Agnetha was ill.
Swedish TV was proposed to tape the tour for a documentary, but they declined. As stated at the fanclub day in April 2016 Universal Music Sweden have no recordings of this tour in their archives, so we only can hope that there still are some official audio recordings elsewhere. Set list based on the fan recording of the concert at Eskilstuna. In ABBA The Book Jean-Marie Potiez writes about 18 songs, i.e. two more than the recording suggests. Because the tour poster mentions Ring, Ring it may be assumed that it actually also was part of the usual set list. Additional elements of the shows were fireworks and soap bubbles. The tour was sponsored by the Swedish company Hagström which also provided the sound system. ABBA toured with a total of 21 people and 4 tons of equipment. Trucks apparently were supplied by the Edwin Shirley Trucking company (the company may have rented them through Harborne Rental though). With 23 people, 24 giant loudspeakers, 30+ colored spotlights, amplifiers, microphones, cords and instruments in the luggage, Sweden’s most famous song group invaded the people's park in Skellefteå on Midsummer Day. After seven hours of remodeling, ABBA – Annifrid, Agnetha, Benny and Björn – were able to stand on stage to premiere at their folk park show in 1975. – How it feels? Well, I enjoy it, says Björn Ulvaeus. After all, it was not that crazy. But light and sound will never be the way in a public park. Even though the primary was carefully planned, it would not really work for the four popidoles. Much electricity and little touch – it’s a combination that is not always successful. It takes an average of seven hours to rebuild the stage and four hours to take it down again! You have to build a special ramp among the audience. There the technicians work under the show. While Annifrid, Agnetha, Benny and Björn sing in an hour for “Waterloo”, “Honey, Honey”, “SOS” and the other famous listeners, the audience can experience a great game. Smoke and thunder, Bengal fires, rockets, saphubbles and a light show jamsides with high-pitched amplifiers – the year something the approximately 3,500 paying young people have hardly experienced in Skellefteå people’s park before! Although they did not have to make any extras, ABBA seems to be overwhelmingly popular with the younger part of the audience. At least 50 guys and girls with cameras and autograph blocks in their hand rushed to the stage. ABBA is one of the country's most expensive groups in the public parks. On the midsummer day, the tour could stop SEK 57,000 in the checkout! ABBA’s earnings were SEK 41,000. In addition, the organizers have to knock out 16,000 kronor to the technicians and musicians. SEK 16,000 was calculated from the tour company costing. “Certainly, we cost money, but we want to offer the audience a good sound,” said Björn Ulvaeus. 2,723 people came – a really not so strange audience figure – and paid 54,460 SEK. Abba received 60 percent, 32,667 kronor, but was responsible for the cost of 1,076 kronor for the hired grand piano that Benny Andersson played. Considering that this concert was taped almost 40 years ago, the quality is pretty good. 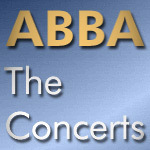 This fan recording is the only opportunity to hear some unique live versions of early ABBA songs. This is the only recording known from the tours in 1974 and 1975. Sometimes you can come across files labeled as ‘Copenhagen’, ’Gothenburg’ or ’Stockholm’, but these turn out to be the same recording, only of worse quality. Not available. The only known fan recording of these years is from Eskilstuna. Sometimes you can come across files labeled as ‘Copenhagen’, ’Gothenburg’ or ’Stockholm’, but these turn out to be the same recording, only of worse quality and/or with a different order of tracks. The evening in Malmö was a nightmare. My legs were shaking and 10 minutes before going on stage I broke down in tears in the dressing room. Luckily, I managed to keep going until the end of the show. Our doctor, Ake Olsson, was waiting backstage in case something happened to me. Not available. The only known fan recording of these years is Eskilstuna. Sometimes you can come across files labeled as ’Copenhagen’, ’Gothenburg’ or ’Stockholm’, but these turn out to be the same recording, only of worse quality and/or with a different order of tracks.